There is a great initiative being run this July called Plastic Free July, which encourages all households to go without plastic for the month. Though we have managed to reduce our household waste quite a bit over the past few years, I feel there’s more we can do, which is why we have chosen to commit to not to use any single use plastic for the month of July. I have posted before a little on what we do in our home to reduce waste (you can read that here if you’re interested) but I thought I might share some recipes on the blog for the month of July on how to reduce food waste in general. I’ll also be re-sharing some of my older recipes that fall into this category on my Facebook page, so if this is something that interests you, make sure to follow along there too. We get local veggie boxes delivered to our house every second Friday, the contents of which normally get shoved in the fridge as they are. By the time the next veggie box is delivered, there’s always a few sad looking veggies at the bottom of the crisper than get thrown in the compost. To avoid this, I’m trying to do a little prep when the veggies are first delivered to ensure that they all get eaten. This will involve washing and chopping greens, and cutting broccoli and cauliflower into florets, then placing in containers in the fridge ready to be thrown into meals during the week. I’m also trying to use as much of each vegetable as possible, including the ends (stalks and leaves) of beets, carrots, radishes etc. These are usually the first things to be turfed, to I’m trying to be a bit more inventive in how I use them. Starting with this frittata! 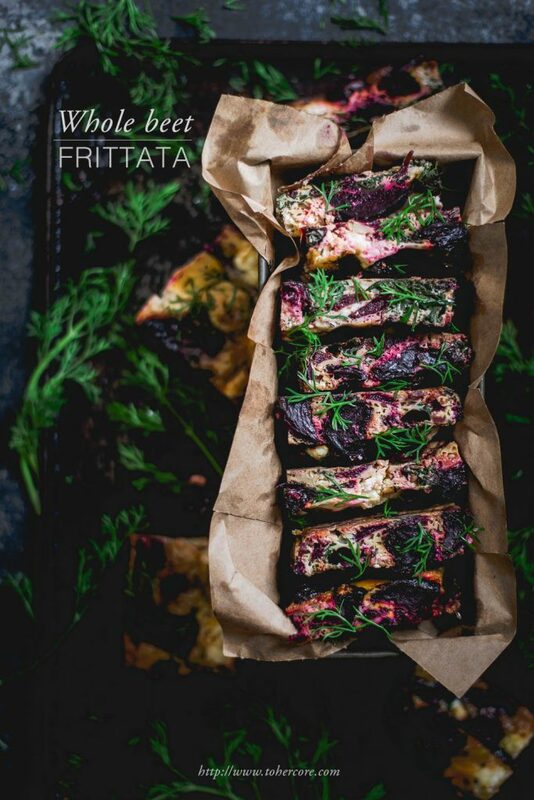 Let me say first that regardless of whether or not you are trying to reduce food waste, this frittata holds it’s on in being one of the tastiest frittatas I’ve ever made (and I make a lot of frittatas!) I was a little sceptical at first as beet greens are usually a bit tough and bitter, but after being cooked they just tasted like any prepared green. Bake in muffin tins instead for mini frittatas. These can then be frozen, and make great school/work box treats. As always, I’d encourage you to experiment with other flavours. A little pesto swirled through this would be amazing (beet greens pesto even!) 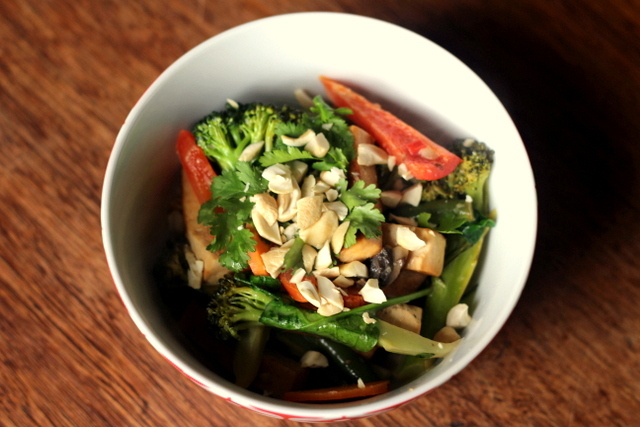 or you could simply swap out the spices and fresh herbs for whatever you have on hand. Chop the beet root off at the base of the stalks, and place the stalks and leaves to the side. Scrub the beets and remove any blemishes with a knife or peeler. Chop the beets into smaller pieces, roughly one inch cubes. Place in a pan with 1 tablespoon of the oil, and a sprinkle of salt (about ½ teaspoon should be fine). Toss to combine. Bake for 25 minutes, turn, and then bake for another 10 - 15 minutes, or until the edges are starting to brown. While the beets are cooking, prepare the stalks and leaves by cutting off the leaves and chopping the stalks into smaller pieces a few centimeters long. Tear any larger leaves in half. Wash both the stalks and leaves thoroughly, and then throw in a pot of boiling water and cook for two minute. Strain and allow to cool slightly, and then squeeze out any excess moisture. Once the beets are roasted, remove from the pan, and place on top of a gas burner over low-medium heat*. Add another 2 - 3 tablespoons oil - enough to coat the bottom. Add the garlic, and cook, stirring, for around a minute or until just starting to change colour. Add the beet greens and stalks, and cook, coating in the garlic and oil, around 3 minutes. Add a generous teaspoon of salt, as well as the cumin and stir to combine. Crumble the feta over the top. Whisk the eggs lightly, and pour evenly over the mixture in the pan. Sprinkle with half the dill, and bake for 20 - 25 minutes (see notes), until golden and cooked through. Sprinkle with the remaining dill before serving. *If you do not have a gas burner, you'll need to do this step in a seperate fry pan. I choose to do this all in the same pan though to save on washing up multiple pieces. If using the one pan here, make sure to use something that can go on a cooktop, as well as in the oven. I use a pan thats 28cm x 32cm and as you can see from the images this yields a fairly thin frittata. A 23cm x 23cm (9" x 9") square pan would probably be ideal - just make note that for thicker frittatas you may need to increase the cooking tie slightly. Gosh, Dearna, what a stunning idea! I just baked a Quiche yesterday. A vegetarian one with creme fraiche and lots of eggs and Paprika. I already printed your version to check it out next week. Will let you know how it works. I Need to go to the farmer market because I don’t get fresh beets in the Supermarket. I remember my two recipes from my blog. They are filled with old Pictures LOL. I have a beet one as well. I use goat cheese in it. Such a beautiful recipe, Dearna! The shots are breathtaking! Gorgeous frittata Dearna. Two thumbs up for the dill, cumin and feta especially. And love that you turned the idea of a simple frittata into something really elegant and novel. I just used beets and the beet greens in a beet tamarind curry last night. I like the slight bitterness from the greens. I think they compliment the earthy sweetness of the beets well. Yes, it is! See below. Not exactly a summer meal, but I made it last week because it turned quite chilly. Unusual for Madrid this time of year. 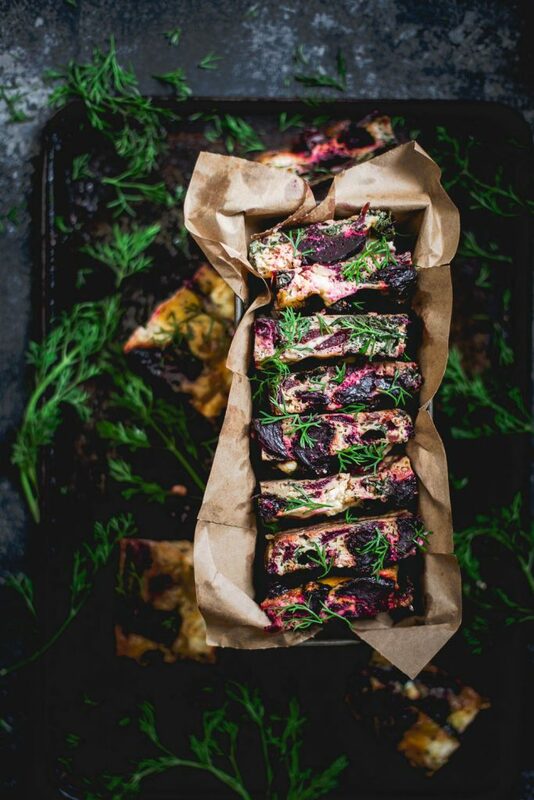 Your beet frittata would have been great then too! Saving your recipe for the next chilly day! Yum! I love this idea, our curries tend to all be a bit same-same, so I like that this one is a little different. Will have to give it a go next time I get my hands on some beets! 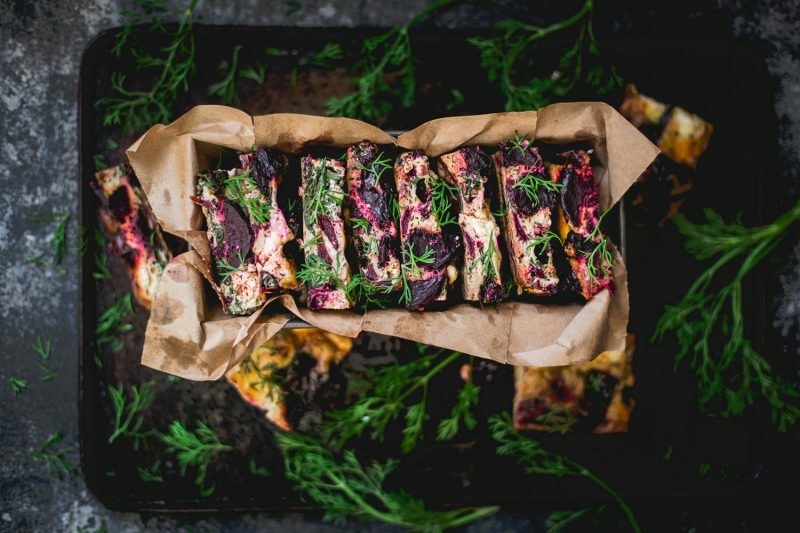 Good looking frittata, dill and feta sounds like a yum combo, look forward to trying it. A great way to store broccoli in the fridge is like a bunch of flowers, cut a thin slice off the bottom of the stalk and pop into a cup of water. Keeps it fresh n crunchy. Just refresh the water and take another thin slice from bottom of stalk when you remember. Thanks Deana, nice to hear from you. 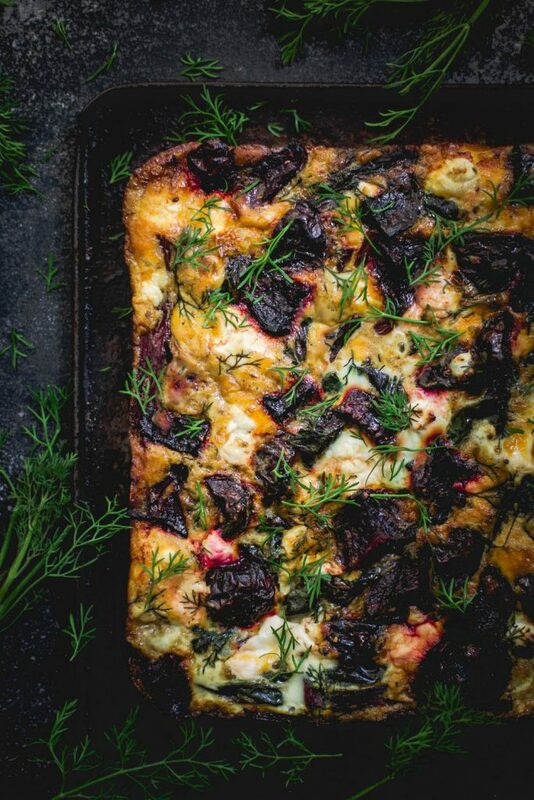 Such a lovely post Dearna, I’ve been looking forward to this recipe and as luck would have it we harvested beets from the farm this week! I too try to remember to prepare the veg and put it in sealed pyrex dishes in the fridge when I bring it home but often forget (I have some very sad looking tenderstem broccoli sitting in the fridge now), you’ve encouraged me to make more of an effort this month – thank you. It came out really really really good! I baked it in a 8×8 pyrex pan for about 30-35 minutes. yummy delicious! thank you! Such a great idea, it really looks good, Thanks for sharing delicious and tasty recipe.